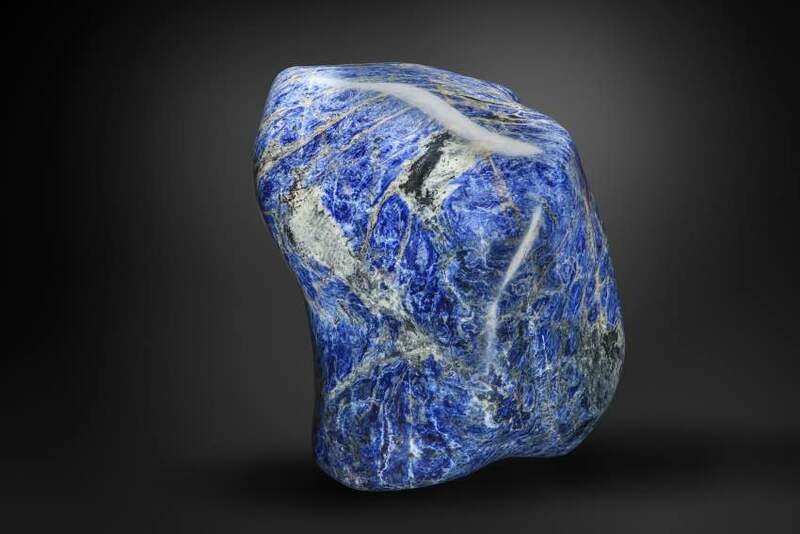 Sodalite occurs in sodium rich netheline – syenite igneous rocks as an attractive blue material often with white streaks. Commercially viable quantities are mined in Brazil and Namibia. The host rock is quarried on a large scale for floor and wall tiles and purer, better grade material goes to the gemstone industry. Sodalite is a member of the feldspathoid group of minerals – whose chemistry is close to that of alkali feldspars but low in silica content. Modern writings refer to its medicinal influence in the thyroid area, the treatment of digestive disorders and beneficial effects on blood pressure. it is said to have a calming effect on the mind especially when decision making is required, bringing clarity and decisiveness to one’s thoughts. Useful in group situations providing a commonality of purpose enhancing the realization of dependence and trust in others.